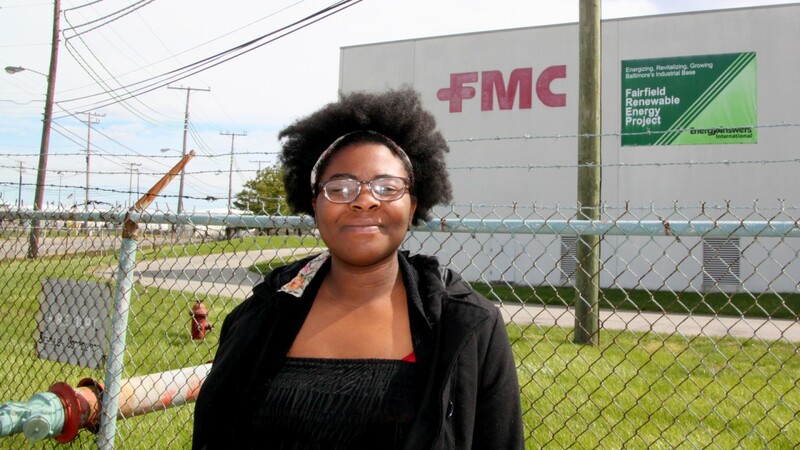 Destiny Watford, a 16-year-old high school student when she started organizing against the incinerator, was going up against an array of mighty adult power. The governor of Maryland, the mayor of Baltimore, the United Steelworkers of America and even some members of her own South Baltimore community of Curtis Bay were welcoming the project being planned less than a mile from her school. State environmental officials had signed off on a permit letting the plant burn each year 1.4 million tons of tires, plastic and construction waste and release tons of fine particulates, mercury, heavy metals and other toxins. “Everything was stacked against us,” Watford said. Four years later, after concerted pressure from opponents including Watford and fellow members of Free Your Voice, a student-led committee of United Workers, the tide had turned. Last month, the state declared that Energy Answers’ permit to build the 160-megawatt trash-to-energy plant had expired. And amazing things are still happening to Watford, now a 20-year-old Towson University junior. “When I got the phone call, I thought it was some kind of scam,” said Watford, recounting how she learned recently that she would be awarded the 2016 Goldman Prize for her efforts to stop the incinerator, an honor that comes with $175,000 to enable recipients to continue their work. Watford will be receiving the award today in San Francisco from the Goldman Foundation, along with other recipients from Tanzania, Cambodia, Slovakia, Puerto Rico and Peru. Watford is the third-youngest recipient in the 27-year history of the prize. 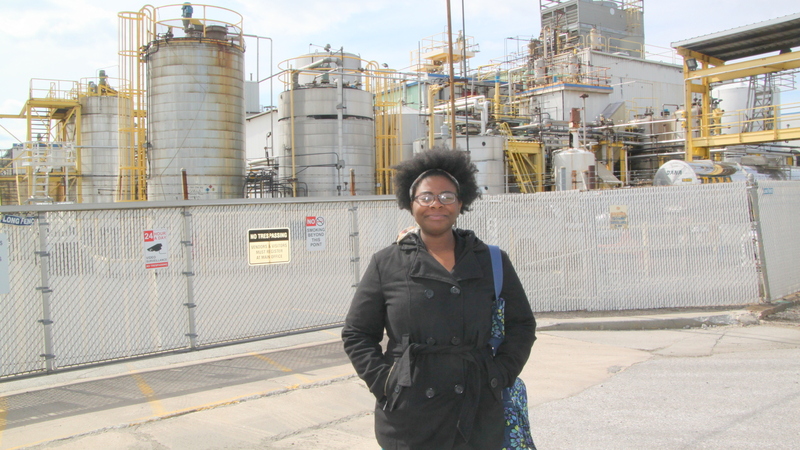 She said she plans to use the money to further Free Your Voice’s efforts to bring alternative sustainable development to Curtis Bay, possibly on the 97-acre former chemical plant site where the incinerator would have been built. “That’s our vision – to take land that would have been polluting and turn it into something healthy for the community, like solar,” she told The Brew, pointing out that the area is badly in need of alternatives to the industry that has brought with it high rates of cancer and respiratory disease in the community. As she spoke in a grassy field behind the Curtis Bay recreation center, she pointed to the industrial waterfront and a towering coal pile off in the distance. “I was guiding some people around here from Towson, an anthropology class, and they were wearing sandals and shorts and I looked down and said, ‘Omigod, look at that stuff!’ ” she remembered. It was coal dust blackening their feet. Watford lives in a multi-generational house in Curtis Bay, as she puts it. Her father is a barber, her mom works at the Department of Motor Vehicles and her grandfather works for a trucking business. She uses transit to get to her college classes in Towson or wherever else she needs to go. The area has a history of chemical plants, sewage treatment plants and oil refineries displacing entire neighborhoods like Fairfield and Wagner’s Point. When she first learned of the incinerator, its threat to community health was easy to understand. “My mother has asthma, it was bad sometimes,” she said. She started thinking about the deeper issues after a trip she and her classmates at Benjamin Franklin High School made to see Henrik Ibsen’s 1882 play, “An Enemy of the People.” Set in a small Norwegian community beset by a poisoned hot spring – a major tourist attraction in the town – it resonated with Watford. “I started to understand the institutional racism and the whole history of displacement here,” she said, noting that some family members were among those who had to leave Fairfield as industry gobbled up property there. Watford and fellow students hit the streets, canvassing neighborhoods, organizing protests and circulating petitions. At their school they researched the politics, economics and health issues involved in incinerators, made websites and organized their media campaign. Supporting them was a network that was on display at the events they organized, including a December 2013 rally and march to the incinerator site. Teachers from the school spoke. A school shuttle bus rolled along on East Patapsco Avenue, protecting marchers from the trucks rumbling by. Community engagement is a theme at Ben Franklin, “a community school” linked to the University of Maryland School of Social Work. A breakthrough came when Watford’s group discovered that Baltimore City Public Schools, along with other government agencies and local non-profits, had agreed to purchase power from the incinerator. 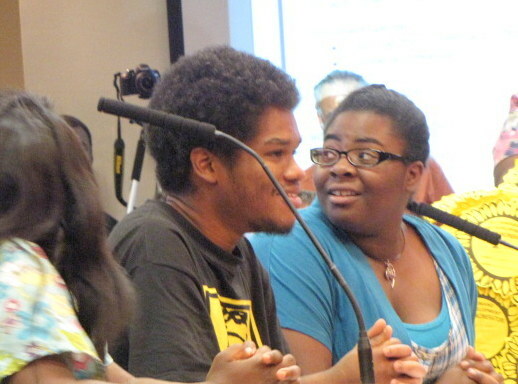 The young activists’ compelling presentation before the School Board turned heads and taught Watford something about organizing. “I realized our being young was both a disadvantage and an advantage,” she said. By late last year, the school system and eventually all 22 of the customers had agreed to cancel their contracts. But the Maryland Department of the Environment (MDE) was making no decisions about the Energy Answers’ permit. Free Your Voice and the Environmental Integrity Project, another key critic, contended it had expired because no work had been done. They decided to force the issue, setting a deadline for the state to respond. And when they didn’t, the group organized a rally outside MDE headquarters that drew about 100 people and a convoy of police cars. Before the incinerator battle came along, Watford said, she hadn’t seen herself as an activist. “I liked to tell stories,” she said. “I thought I might be a journalist or go into pubic relations.” She had an internship at the downtown Baltimore office of Price Waterhouse and her swerve into activism made her father worry if she could support herself with such work. “He thought I was kind of a radical,” she said. “I watched Destiny just blossom,” said Greg Sawtell of United Workers, who was something of a mentor. In the end, what drove her to focus so doggedly on defeating the incinerator?